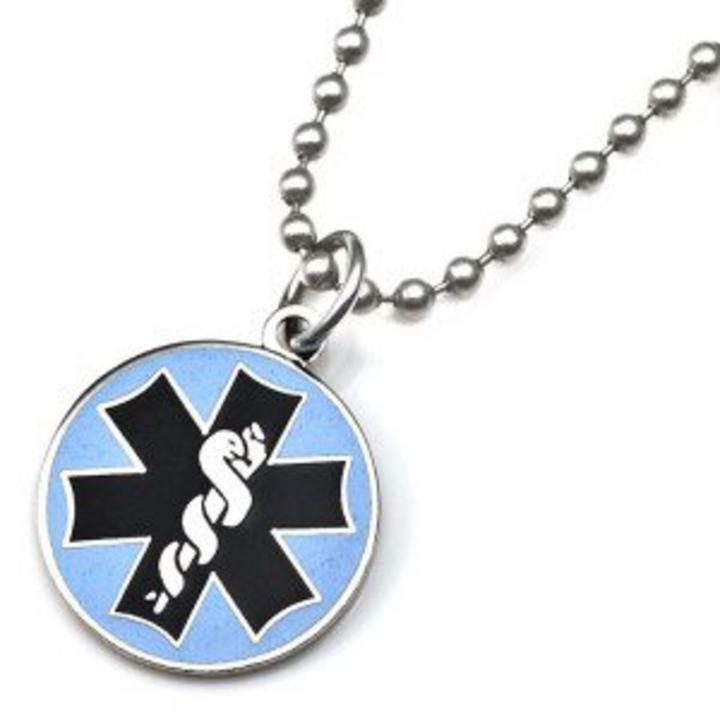 Our small blue enameled medical id alert necklace F is great for those who prefer a medical alert necklace over a medical id alert bracelet. Our blue medical id alert necklace F is has silver trim and measures 3/4: in diameter. Our medical id necklace comes with a 27" stainless steel chain. Engraving up to 6 lines with 13 characters per line including spaces at no additional charge!